The purpose of this deliverable is to define an ethical guideline with which the pilots must comply. This deliverable collects and summarizes the “National Pilot Blueprint” for each of the five pilot sites of the inCASA project. This document aims to analyze the user requirements both from a functional and non-functional point of view and provide the functional and system specifications for the inCASA platform. This document represents the Advanced Monitoring System implementation for the inCASA project. The content of that system comprises the inCASA Smart Personal Platform module and the relevant subsystems. This deliverable presents the pilot installation report for each of the five pilots. This deliverable includes the pilots completion of the Ethical Guideline Check List, and overall all pilots comply with the ethical requirements defined in the check list. 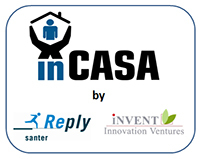 The final public report of the inCASA project.